Want to build the best gaming PC on the planet? We’ve picked the best components to build three different tiers of PC perfection. Buiding the best gaming PC can be quite a challenge. So we’ve picked three separate tiers of PC gaming, from a great-and-great-value gaming PC, a wallet-busting high-end rig, or a serious cheap gaming PC. But whether it’s sporting an AMD or Nvidia graphics card, an AMD Ryzen or Threadripper CPU, or a motherboard from Gigabyte, Asus, ASRock, or MSI we’ll find the best prices for the best parts to build the best gaming PC for you. Part of the beauty of putting together your own gaming rig is that you can choose each of the individual components yourself, whether that’s based on pricing or manufacturer preference. That’s because building the best gaming PC is a very personal thing. Some people might not raise a sculpted eyebrow at spending four grand on a gaming PC, while most of us would struggle to scrape together $700 for a prospective build. 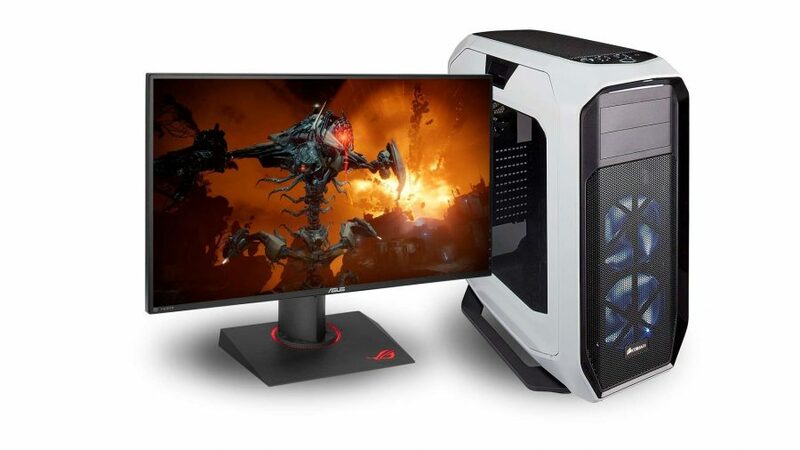 But all are welcome in the world of PC gaming, and there are brilliant gaming rigs you can create no matter whether you’re an oligarch or ruthlessly raiding every piggy bank you’ve ever owned to afford a new machine. We’ve split our builds up into three tiers, to give you an idea of what’s possible, and we’ve also added our pick of the best monitors and peripherals around right now. 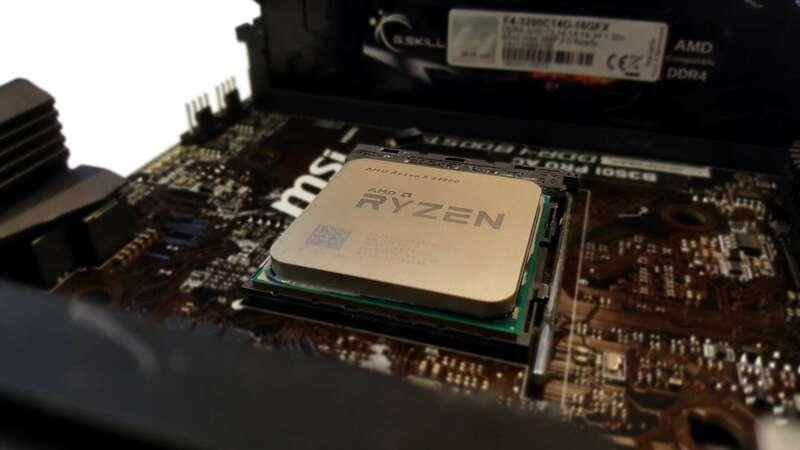 The six-core 2nd Gen Ryzen is a great-value chip, able to deliver impressive gaming chops and serious computational power too. Asus’ powerful B350 board is one of our favourite AM4 motherboards, and not just because of its low price. AMD’s Ryzen loves speedy memory, and for the money the Ballistix kit delivers a high frequency and a dual-channel setup. The drop in NAND pricing means that in where we once recommended a 250GB 850 EVO SSD, a 500GB 860 EVO can be had for the same price. That 500GB SSD is still going to necessitate some game library management, so you’ll want a little extra spinning data storage too. This 550W PSU is reliable, relatively efficient, and won’t break the bank. It’s also fully modular for easy building. Corsair makes some gorgeous PC cases, but it also makes very affordable ones too. This is a simple, no frills chassis, but no less solid for it. Unless you want to sacrifice half your Steam library to the vagaries of Linux support, you’re going to need an OS. You can purchase real license keys very cheaply, however. If you’re going big with your gaming rig, while looking for some computational power for your other hobbies, it’s got to be Threadripper. Designed for the expanded surface of the Threadripper chips, the Dark Rock PRO TR4 has excellent high-end cooling performance. Of course you could spend almost the cost of your CPU again on the top-end ROG X399 board, but the STRIX version has almost all the capabilities without breaking the bank. You absolutely have to have decent memory to fill out your Threadripper rig or you’ll miss out on the performance of AMD’s high-end CPU proposition. And you ought to do it with RGB sticks too, obvs. The Samsung 970 Pro is a stunning NVMe drive which packs performance, capacity, and reliability, into a tiny form factor. Samsung’s older SATA tech is still a great option for some capacious data storage with a little more nip than a creaky ol’ spinning platter hard drive. If you really wanted to push it you could grab the Titan RTX for more than twice the price, but it’s only going to deliver a little extra performance for the extra cash. A 1KW PSU is probably still overkill for this setup, but this over-specced unit gives you a lot of headroom and a slight boost to efficiency too. The old 780T is years old now, but still one of the most beautiful, large-scale, PC chassis around. And in white it has that Portal sentry turret aesthetic too. Unless you want to sacrifice half your Steam library to the vagaries of Linux support, you’re going to need an OS. You can purchase license keys very cheaply, however. The Raven Ridge 2400G APU is a seriously impressive piece of engineering, which has delivered Vega graphics power into a CPU which also has four cores and eight threads of processing power in it. The smaller-scale ASRock B350 board is great-value option, and with that diminutive size you’re only really sacrificing the needless potential for multi-GPU support. Higher-speed RAM can make a big difference to a Raven Ridge setup, and filling those two memory channels is important too, even on a budget. At this level it’s tough to finance the installation of an SSD with enough space to act as a boot drive and have enough space for games, so a HDD is a necessary evil to start with. This 450W PSU gives you room to grow in terms of both CPU and GPU, but you’re necessarily sacrificing the modular design to hit this lower pricepoint. 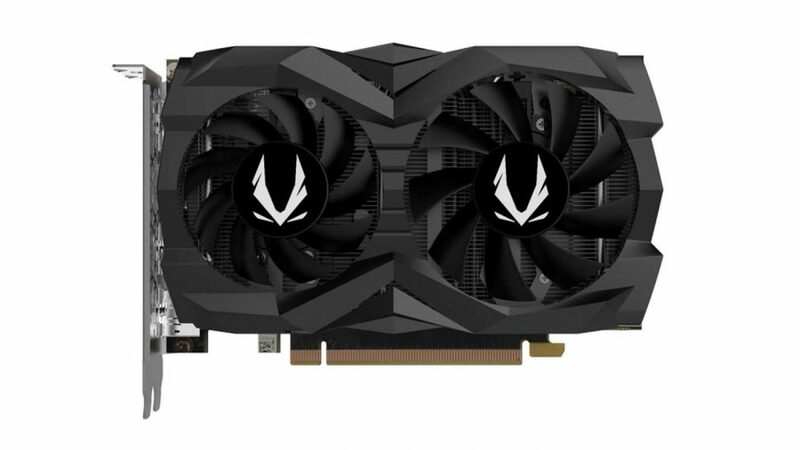 With the 2400G APU you don’t need a graphics card, as it will net you 1080p gaming performance on its own, but adding a little budget AMD discrete GPU action can make a massive difference. So those are our picks for the best components to fill out your PC, but then you need to decide whether you’re going to need to make a change to the rest of your gaming gear too. If you want to change monitor, or your choice of peripherals, these are what we’d have sitting on our desktops. This Asus screen is packing in the best gaming panel I’ve ever seen, and it’s calibrated beautifully out-of-the-box too. It might be expensive, but you pay for the best. If you’re going 4K, then you might as well go big. In fact, to get the most out of a 3,840 x 2,160 resolution it really needs to be writ large. You don’t have to spend a fortune to get a decent monitor for your rig. The VA panel in this bargain BenQ is a great option at this price. Corsair’s brilliant K70 design is still my absolute favourite gaming keyboard of all time. There are lots of different options of K70, but the basic design has yet to be bettered. Kingston has improved upon the brilliant original Cloud design in almost every way, and still retained the relatively reasonable price tag too. Quite simply the best overall gaming headset there is.